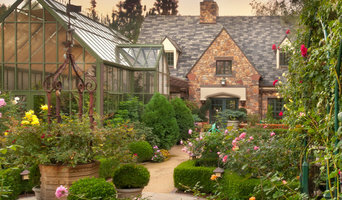 Bel Crest Builders, Inc. (“BCB”) was founded by Todd Nagler in Los Angeles in 1990. He is an experienced General Contractor guided by his passion for architecture and the creative process of building. He has degrees fromUCLA and The University of Chicago. He studied architecture at “SciArc,” Southern California Institute of Architecture. For over 20 years, we’ve been specializing in commercial and custom home building & remodeling of a variety of architectural styles. We embrace the challenges of complex out of the ordinary designs as well as traditional design with intricate details. We provide the highest-quality workmanship to the most discriminating clientele. Your project will be treated with the upmost care & attention it deserves ensuring that the process meets or exceeds expectations. We pride ourselves on our thoroughness & attention to detail. We provide project management skills for your project so that it will be completed on time & within budget. We believe in fluid communication between all team members. We stand behind all our work, and provide a warranty for all projects. We can assist in recommending a design team including: an architect/designer and engineer/consultants to produce plans. We can work with the Client/design team in providing preliminary construction budgets along with cost engineering services; thereby providing cost analysis with various alternatives so that budgets can be met. We are quality driven and strive to make the design build process as smooth as possible. We believe in green construction and will assist in making appropriate recommendations. We look forward to being a part of your team. Gardon Builders is a professional home construction company in Pasadena. If your need is a new construction or adding an addition onto your home, our team can help! We encourage our clients to make decisions that will save money and use products that have good longevity, are healthy for your environment and also saves you money on utility bills. Our experienced craftsmen would help you to make any design into a reality, so that you can expand, add new rooms and bring any new and creative space into your home. Whether you are looking for a home office to get more work done or a build sunroom for more relaxing time, Gardon Builders will help you construct a cost-effective, energy efficient, beautiful and comfortable addition that would add value to your home. We also deal with custom home building. Once you have picked out the ideal location, and it’s time to build the perfect home for your family. We would arrange everything and you can have the space, materials, design, look and feel you want, exactly how you want it. We are experienced, professional home contractors and we make your dream home a reality. When you are looking for something affordable and beautiful, or something to reduce your energy costs and minimize your carbon footprint, an elegant and functional space to live in, or all of the above, then you can contact us on (626) 283-4168 or visit our offices at 960 E Green St Ste 418, Pasadena, CA 91106 and building your home with eco-friendly products at affordable prices. For Altadena residential home builders who also act as developers, the job starts well before the first nail is driven. They perform local market research to determine whether the prospective homesites make sense in the Altadena, CA market, as well as survey the land on which the house will be built to make sure it is suitable for construction. Custom builders also obtain the necessary permits. A good custom home builder in Altadena, CA has skills that go far beyond construction — he or she must supervise subcontractors and artisans; keep tabs on local zoning regulations, building codes and other legalities; inspect work for problems along the way; and perform dozens of other roles that are essential in building a quality house. Here are some related professionals and vendors to complement the work of home builders: Interior Designers & Decorators, Landscape Architects & Landscape Designers, Architects & Building Designers, Kitchen & Bath Designers, Specialty Contractors. House builders are responsible for ensuring that the home-building project sticks as closely as possible to the specified timetable, particularly in the event of change orders. Custom and luxury home builders in Altadena, CA also need interpersonal skills to deal with clients of all types, soothe frazzled nerves, negotiate conflicts and resolve problems. Find custom home builders in Altadena, CA on Houzz. Narrow your search in the Professionals section of the website to Altadena, CA home builders. You can also look through Altadena, CA photos to find a house you like, then contact the builder who worked on it.